Along the east side of Lily Pool Terrace is a diverse collection of more than a hundred species of herbaceous plants, flowering shrubs, and small trees. 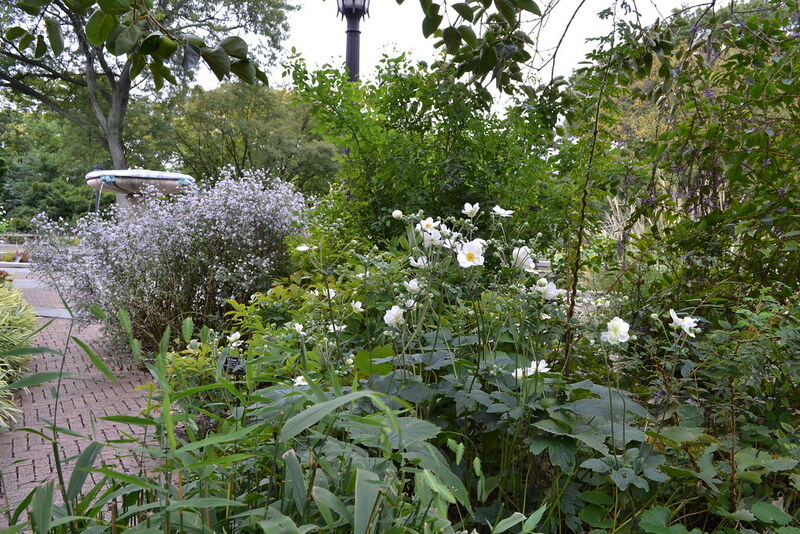 Brooklyn Botanic Garden's perennial border exemplifies an exuberant American style arising from the great tradition of European mixed borders. Original designer Conni Cross combined trees and shrubs with a diverse palette of herbaceous perennials and bulbs suited to Brooklyn's climate. Over the years, the garden has evolved as the larger plants have grown and created dappled patches of shade, and flowering perennials have spread to form a lush border that blooms from early spring through late fall. The border stretches approximately 300 feet along the facades of the education greenhouses and Palm House to the Steinhardt Conservatory—the entire length of Lily Pool Terrace. It is divided into plots, with herringbone-pattern brick walkways that permit viewing from all sides.